After reading and researching how to make your own DIY Chalkboard on other blogs and youtube I finally made my own! Let's get cracking, shall we? Any kind of wood surface that you want to paint - I chose a door handle as well as another fun shape. I also got 3 daisy shapes that I haven't painted yet so you might see a part two of this post in future. 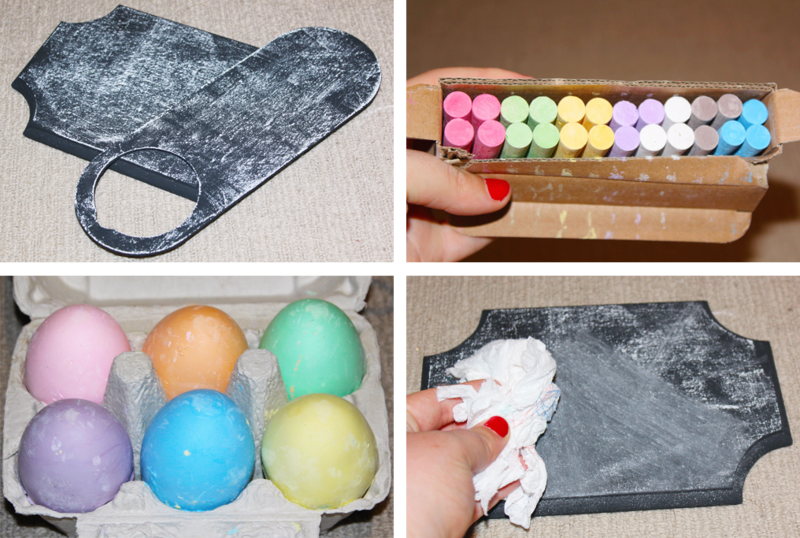 Any chalk you can get your hands on - I chose regular ones from Ikea and some fun egg shaped chalk. The first step is to combine your paint and unsanded tile grout. This was a bit challenging for me as I had too much grout with the paint. I definitely recommend just putting a little bit in and adding more if you feel you need it. Try to get the mixture as smooth as possible. Then paint your surface. I did 2-3 coats on mine. Then wait for it to dry! Once the paint has dried, you slate the surface. Basically you just light run a piece of chalk over the surface and then wipe it away as best as you can so it has a real chalkboard feeling. 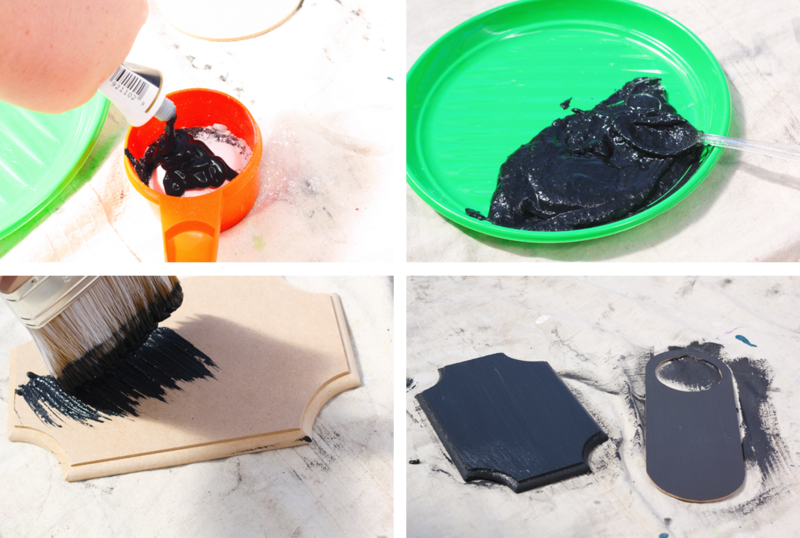 If you don't like that the chalkboard isn't as black anymore, you can still do this step and then wipe the surface with a damp cloth and wait for it to dry before drawing or writing on it. And tada, it's done! This is a really fun and easy thing to do, definitely great if you have kids around. I'm going to be doing this project a lot more in future. this is such a cool idea, will have to give it a try! the chalk board looks great! love this DIY it's so fun! Oh wow, this is awesome! I've never actually even thoguht about making a chalkboard before. This is so cool! Thank you for sharing! Love it!